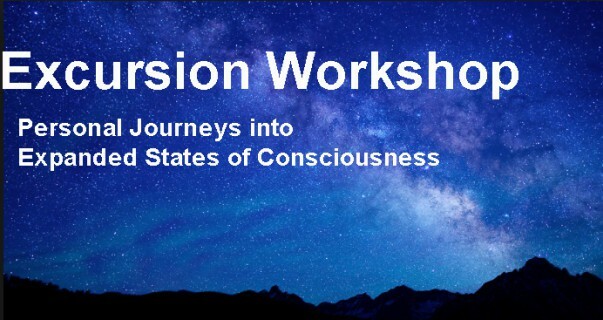 The Monroe Institute’s Excursion Workshop is an intensive 3-day program which offers you the opportunity to engage in consciousness exploration, self-discovery, and personal transformation. This process is facilitated and enhanced by the use of Hemi-Sync®, a powerful audio-guidance technology which has been effectively and safely used for over 40 years. You will experience deep physical relaxation and mental calmness as you easily journey beyond the world of physical senses into expanded states of consciousness to better understand your Total Self and to access your untapped inner resources. You will return home with the experience, knowledge, and skills you need to access these powerful states of consciousness on your own (without Hemi-Sync®) to continue to realize more of your full potential and to enhance your everyday life. Learn how to access and heighten your intuition. gain tools you can use to de-stress and relax and develop a meditation practice at home—even if you have failed before. All these benefits come without dogma.There is no religious connection or guru involved. To optimize audibility for this kind of workshop Noosfera Center has build-in each room with a unique special audio equipment which allows the participants to use headphones for listening the exercises or conscious dreaming hemi-Sync sounds, while lying comfortably on their beds. After you leave, you will have access to our Local Chapter, a group of already participants in Excursion Workshops, who meets regularly in order to deepen and keep the experiences through ongoing Hemi-Sync practice. Tuition, all meals and refreshments, accommodation 2 nights, transfer from/to train station (Kiato) and VAT. Use of the special audio equipment in your room lying comfortably into your bed.
! No one is ever turned away because of an inability to pay. If you need to make special arrangements for the tuition, please contact us. Facilitators: Maria Xifara & Ioulia Pitsouli Outreach Facilitators and members of the Professional Division of The Monroe Institute.